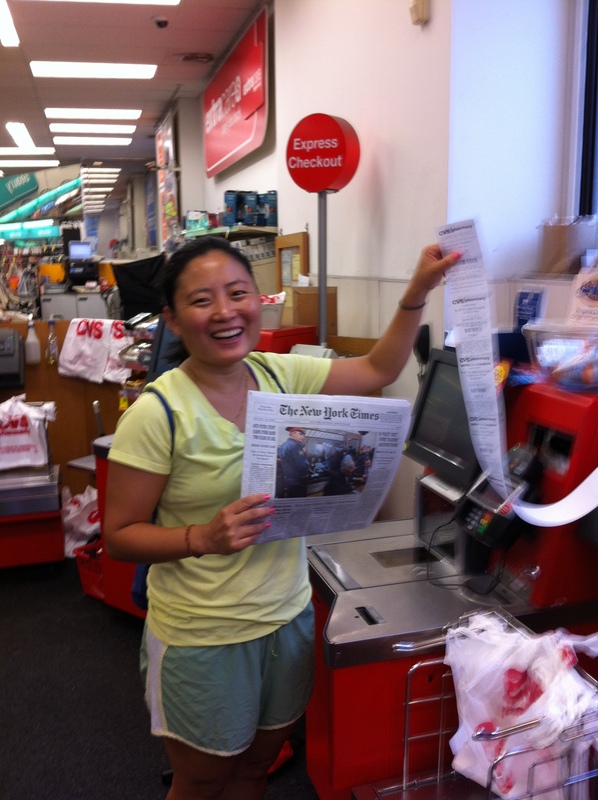 Yesterday, I went to my usual store(CVS) to buy the “The New York Times” paper and had an unusual experience. hmmm…. 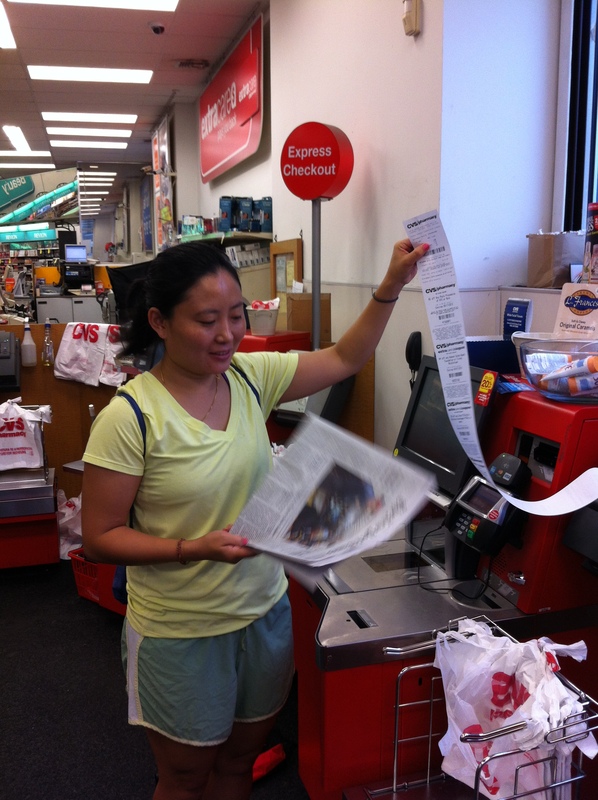 what is going on with the receipt??! My friend confirmed that I wasn’t dreaming and that I might have just made it to the the Guinness Book of World record for getting the longest receipt . 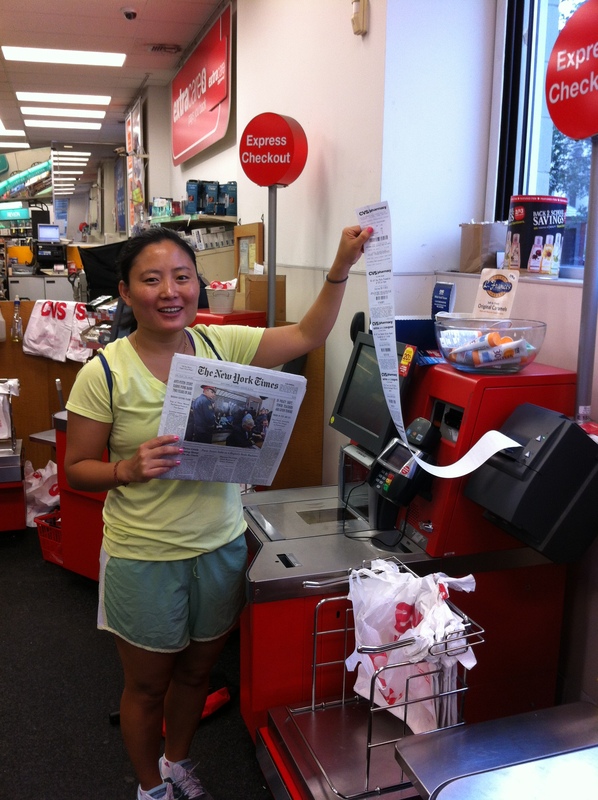 I don’t know about the World record, but it definitely broke my own record for getting the longest receipt for a newspaper.